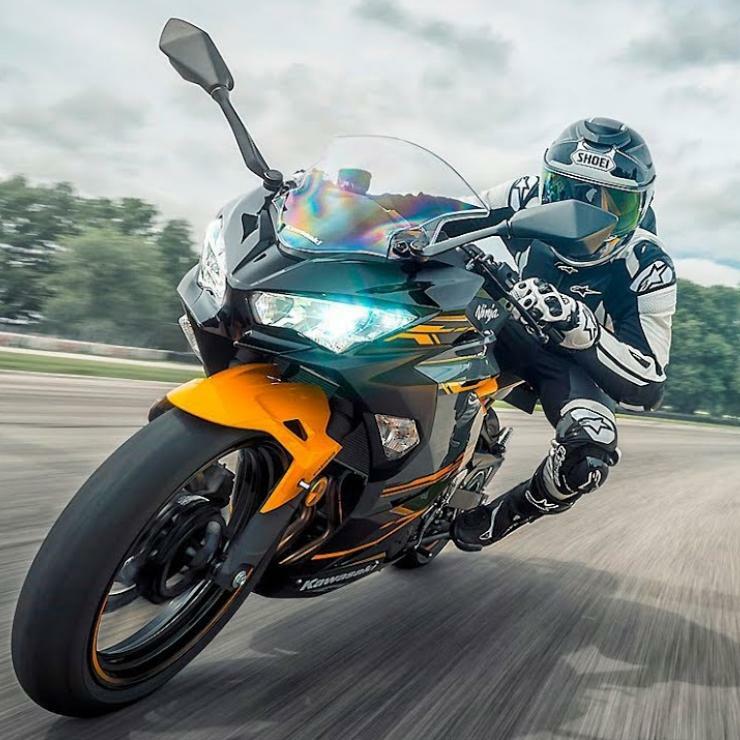 Kawasaki has just launched the Ninja 400 in India, an entry-level sportsbike from the Japanese brand for the Indian market. The Ninja 400 has been priced at an eye-watering 4.69 lakhs, ex-showroom Mumbai. In other words, the Ninja 400’s price is double that of the KTM RC390 (priced a Rs. 2.35 lakhs), a sportsbike with similar power and torque outputs but with one less cylinder. The high price tag is despite Kawasaki CKD assembling the Ninja 400 in India. We suppose that the brand wants to retain its premium positioning in the Indian market. The Ninja 400 uses a 400cc, parallel twin engine that produces 45 Bhp of peak power at 10,000 rpm and 38 Nm of peak torque at 8,000 rpm. The engine is liquid cooled and fuel injected. It features four valve heads and twin overhead camshafts. The gearbox is a 6 speed unit with a slipper clutch as standard. The Ninja 400 gets ABS as standard, and uses disc brakes on both its alloy wheels. Tubeless tyres are also standard on the motorcycle, which gets a brand new trellis frame that shaves weight by 6 kilograms. The Ninja 400 now tips scales at 168 kilograms. The motorcycle uses 41 mm telescopic front forks and a monoshock rear for suspension duties. It is a ravishing looker. Clearly inspired by its larger capacity superbike siblings, the Ninja 400 is a sharp looking machine that gets edgy styling. LED headlamps are now standard. Take away the smaller engine under the fairing and people may mistake the Ninja 400 to be a supersport machine. Just imagine what this bike can be with a 400cc, inline-four cylinder engine. Kawasaki used to produce such bikes in the past. We hope that the Ninja 400 eventually heads that way. For now, the Ninja 400 sold in India has no direct competition as there is not other 400cc twin cylinder sportsbike on sale presently. In price terms, the Ninja 400 will take on the Yamaha R3, which is more than Rs. 1 lakh cheaper. In terms of performance, direct competition for the new Kawasaki will come from the KTM RC390 and the Yamaha R3. It’ll be interesting to see how these motorcycles stack up when pitted against each other on the drag strip and on the racetrack.